Daymond Garfield John is an American investor, television personality, entrepreneur, author and motivational speaker. Daymond is the CEO and founder of the famous company FUBU. He is popularly known for his appearance on Shark Tank, ABC’s reality show. His current net worth is estimated at US$250 million. 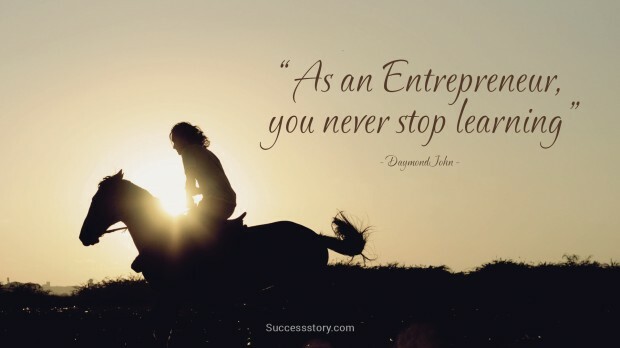 Famous for his inspirational and motivational quotes, Daymond encourages people to stop waiting for the perfect time to do things and instead to take complete advantage that the time you have in hands. 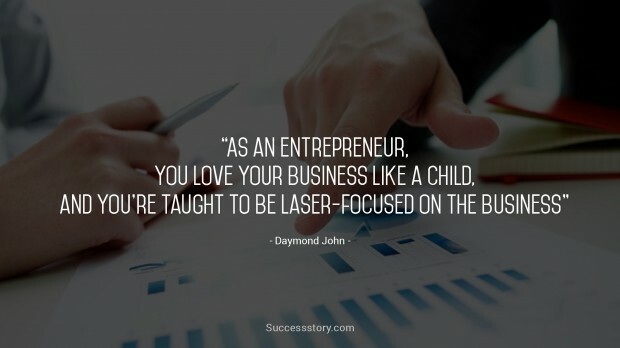 "As an entrepreneur, you love your business like a child, and you're taught to be laser-focused on the business"